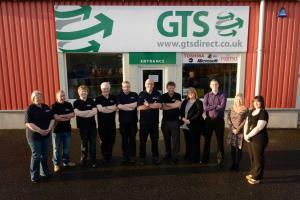 GTS Direct is a national supplier of PPE, IT equipment and stationery with a head sales office and shop in Lerwick, Shetland, complimented with a central distribution warehouse in Manchester. Our team of skilled and experienced staff aim to give you a complete solution to your business needs, whether it is outfitting your workforce in protective clothing, installing the latest technology to help your business run more efficiently, or keeping your office stocked with paper and office supplies. GTS Direct provide an unrivalled level of customer service and expert technical knowledge, and we take pride in helping our customers find solutions to their business needs.